If you’re reading this blog, it’s more than likely that you already offer video on your website via iPlayerHD. But when is the last time you updated your video content? Read on for some key reasons why video plays an essential role to your marketing mix and the success of your website. According to the market insights agency, Aberdeen Group, who recently completed a study on the value of video marketing, video marketers receive 66% more qualified leads per year and enjoy a 54% increase in brand awareness over marketers who do not use video. Why is that? From a study by Wyzowl, 79% of consumers would rather watch a video than read about a product. 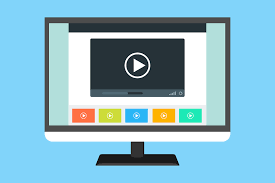 If your website does not offer tutorials, explanatory content for your products, or an interactive overview of your company’s offering, video can be the most engaging tactic to connect your customers with the information you want them to know. But before you rush to implement video on your website, you should keep a few key things in mind. Nearly all consumers have watched explainer videos (91%, according to Wyzowl), and tolerance is low for outdated content, which can ultimately be harmful to your company’s perception. So, if you do offer product tutorials and explainer videos on your website, when is the last time you updated them? If it has been more than a few years, if your product offerings have grown or evolved, or portfolio of projects has expanded significantly, it may be time to update your company’s website, product, or company videos. Length: According to com, videos up to 2 minutes will maximize your viewer’s attention. Consumer preferences lean towards 1 minute. Implementation: If you wish to retain customers on your website and ensure ads do not play during your video, consider using iPlayerHD as your video hosting platform (and if you already do – tell your friends!). In short: video is proven to be effective at converting customers, and it’s going to stick around for the foreseeable future. Take a look at your website and think about where video can be implemented or improved. It might make all the difference for your future clients.